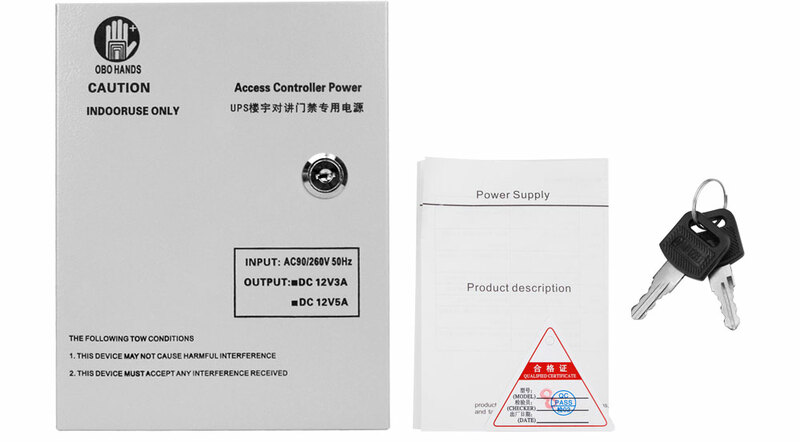 12V 5A access control system UPS power box, can connect to an external battery, applicable to building intercom system, all kinds of inward and outward entrance guard controller, and all kinds of access control electric door lock. 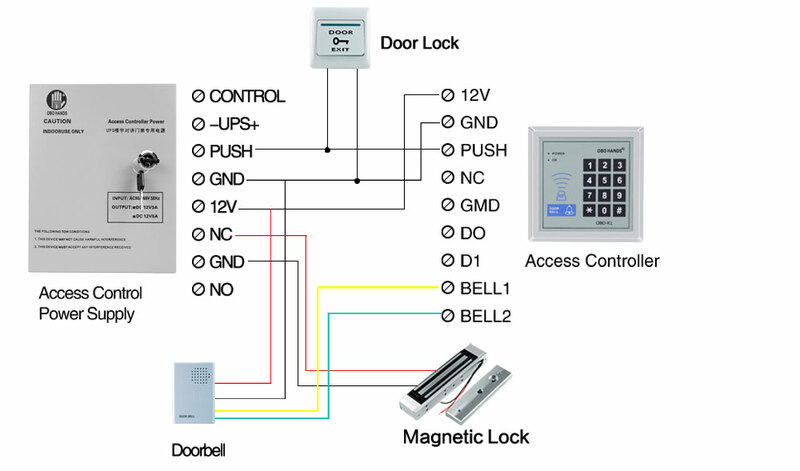 Note: This device can working for both 3A and 5A. The battery is not equipped with, need to buy in your local place. 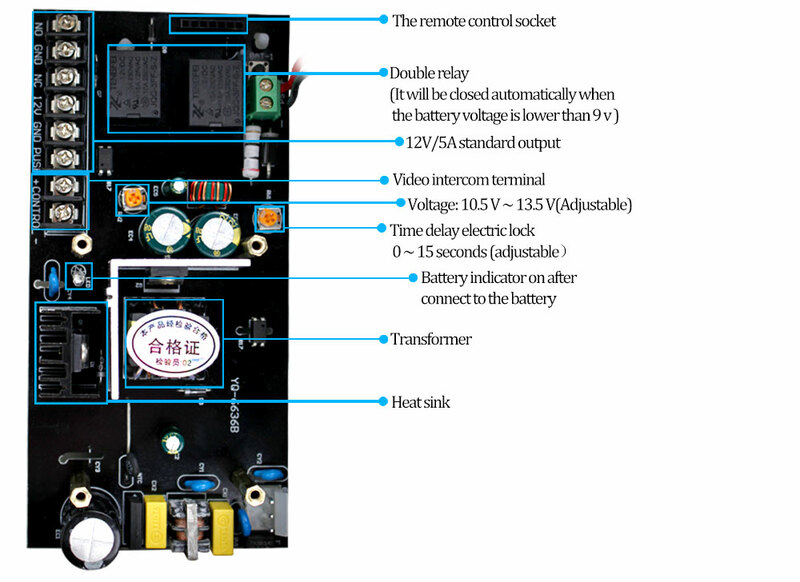 Working with Ac 9 v ~ 260V, 50Hz ~ 260Hz, DC output standard:12 VDC, 3A/5 A. Time delay: 0 ~15 seconds. 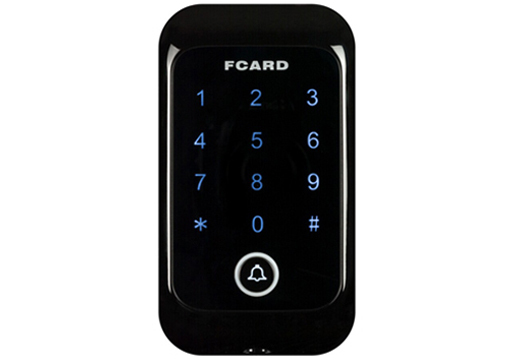 Can be connected to an external remote control module, that can separate remote control lock for access control system. 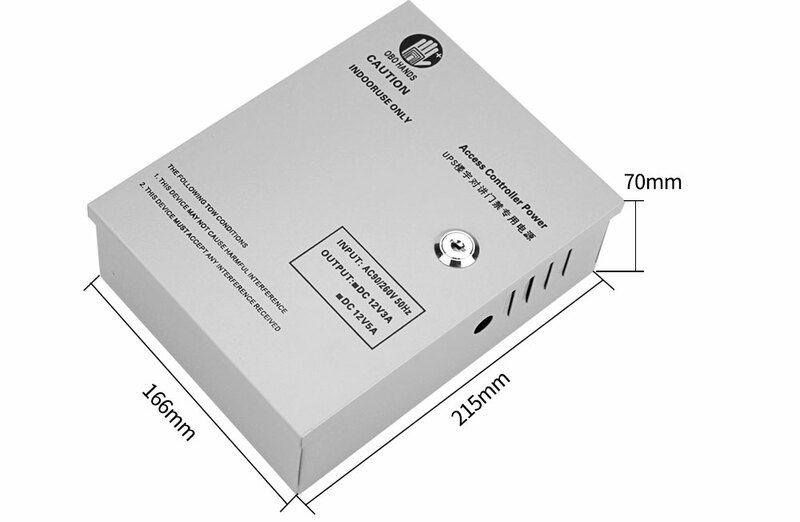 Has over-voltage protection,over-current protection, fault protection. 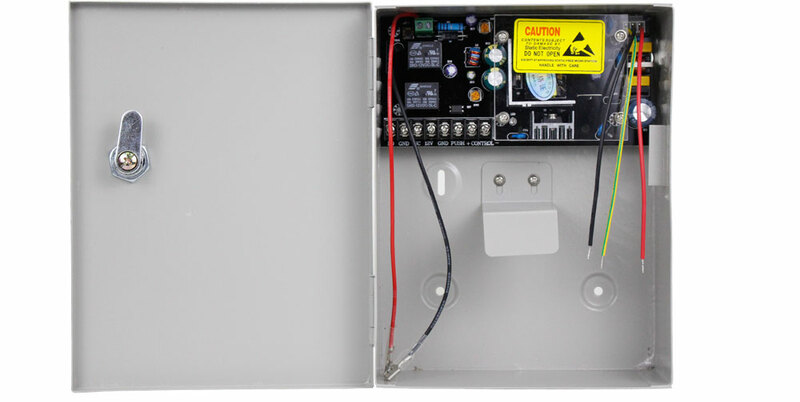 The power supply will automatic shutdown protection if voltage less than 9 v .
Applicable to building intercom system, all kinds of indoor and outdoor entrance guard controller, and all kinds of access control electric door lock. 1. We ship to Alixpress\'s address ONLY. Please make sure your address in AliExpress is matched with your shipping address before you pay. 3. Taxes and charges are not included in the item price or shipping charges. Please check with your country\'s customs office to determine what these additional costs will be prior to bidding/buying.